• Plan your media campaigns. • Write your press releases. • Develop your media relations. • Create newsworthy events to attract media coverage. (PR) is the management of internal and external communication of an organization to create and maintain a positive image. Public relations involves popularizing successes, downplaying failures, announcing changes, and many other activities. The Random House Unabridged Dictionary says public relations is the art, technique, or profession of promoting goodwill between an organization or an individual and the public, employees, customers, etc. The American Heritage Dictionary defines it as "the art or science of establishing and promoting a favorable relationship with the public." A public relations firm does this mainly by promoting favorable news. The term public relations was first used by the US president Thomas Jefferson during his address to Congress in 1807 (in this use, however, the intended meaning seems to be closer to "policy" than the implication of communications central to the contemporary definition). One of the earliest definitions of PR was created by Edward Bernays. According to him, "Public Relations is a management function which tabulates public attitudes, defines the policies, procedures and interest of an organization followed by executing a program of action to earn public understanding and acceptance. "(see history of public relations). Today "Public Relations is a set of management, supervisory, and technical functions that foster an organization's ability to strategically listen to, appreciate, and respond to those persons whose mutually beneficial relationships with the organization are necessary if it is to achieve its missions and values." (Robert L. Heath, Encyclopedia of Public Relations). Essentially it is a management function that focuses on two-way communication and fostering of mutually beneficial relationships between an organization and its publics. Leading Indian Public Relations practioner Kapil Rampal defines Public Relations as "science and practice of applying credible media for favorable communication" (Kapil Rampal, Modern Public Relations). This definition is quite close to the currently prevailing understanding of Public Relations. There is a school of public relations that holds that it is about relationship management. Phillips, explored this concept in his paper "Towards relationship management: Public relations at the core of organisational development" paper in 2006 which lists a range of academics and practitioners who support this view. Modern public relations evaluates a product or individual's public perception through market research. Once data is collected and challenges are identified, solutions are presented in a campaign strategy to meet goals. Techniques may vary from campaign to campaign but some standard tools used are; press releases, press kits, satellite feeds, pod casts, web casts, wire service distribution of information and internet placement. Others include entertainment product placement (television, events, celebrity), product launches, press conferences, media seminars, producing events, speechwriting, establishing partnerships and more is often required. "Examples of the knowledge that may be required in the professional practice of public relations include communication arts, psychology, social psychology, sociology, political science, economics, and the principles of management and ethics. Technical knowledge and skills are required for opinion research, public issues analysis, media relations, direct mail, institutional advertising, publications, film/video productions, special events, speeches, and presentations." Although public relations professionals are stereotypically seen as corporate servants, the reality is that almost any organization that has a stake in how it is portrayed in the public arena employs at least one PR manager. Large organizations may even have dedicated communications departments. Government agencies, trade associations, and other non-profit organizations commonly carry out PR activities. Public relations is an important management function in any organization. An effective communication, or public relations, plan for an organization is developed to communicate to an audience (whether internal or external publics) in such a way the message coincides with organizational goals and seeks to benefit mutual interests whenever possible. As industry consolidation becomes more yes prevalent, many organizations and individuals are choosing to retain "boutique" firms as opposed to so-called "global" communications firms. These smaller firms typically specialize in only a couple of practice areas and thus, often have a greater understanding of their client's business. And because they deal with certain journalists with greater frequency, specialty firms often have stronger media contacts in the areas that matter most to their clients. Added benefits of smaller, specialty firms include more personal attention and accountability and as well, cost savings. This is not to say that smaller is always better, but there is a growing consensus that specialty firms offer more than once considered. Organizations that cater to specialized or "boutique" practices include specific subgenres such as "Broadcast PR", and include firms like Medialink, WestGlen, DS Simon, kelly fogelman group and Mediahitman. These groups use traditional PR techniques but devote most of their efforts towards gaining exposure via broadcast and cable television news outlets. As newspapers downsize across the country due to the impact of Internet news, television has become an important vehicle in establishing customer acquisition. Reputable firms, create solid stories for broadcast which appear on talk shows like Oprah, Good Morning America or news broadcast etc.. Questionable public relation firms create "spin." which is slanted stories to serve their cleint's interest. Recent pressure from watchgroups like the Center for Media and Democracy has resulted in Federal review of "spin" practices. Public relations and publicity are not synonymous. Publicity is the spreading of information to gain public awareness in a product, service, candidate, etc. A fundamental technique used in public relations is to identify the target audience, and to tailor every message to appeal to that audience. It can be a general, nationwide or worldwide audience, but it is more often a segment of a population. Marketers often refer to economy-driven "demographics," such as "white males 18-49," but in public relations an audience is more fluid, being whoever someone wants to reach. For example, recent political audiences include "soccer moms" and "NASCAR dads." In addition to audiences, there are usually stakeholders, literally people who have a "stake" in a given issue. All audiences are stakeholders (or presumptive stakeholders), but not all stakeholders are audiences. For example, a charity commissions a PR agency to create a campaign to raise money to find a cure for a disease. The charity and the people with the disease are stakeholders, but the audience is anyone who is likely to donate money. Sometimes the interests of differing audiences and stakeholders common to a PR effort necessitate the creation of several distinct but still complementary messages. This is not always easy to do, and sometimes – especially in politics – a spokesperson or client says something to one audience that angers another audience or group of stakeholders. Lobby groups are established to influence government policy, corporate policy, or public opinion. These groups claim to represent a particular interest. When a lobby group hides its true purpose and support base it is known as a front group. In public relations, spin is a sometimes pejorative term signifying a heavily biased portrayal in one's own favor of an event or situation. While traditional public relations may also rely on creative presentation of the facts, "spin" often, though not always, implies disingenuous, deceptive and/or highly manipulative tactics. Politicians are often accused of spin by commentators and political opponents, when they produce a counter argument or position. Another spin technique involves careful choice of timing in the release of certain news so it can take advantage of prominent events in the news. A famous reference to this practice occurred when British Government press officer Jo Moore used the phrase It's now a very good day to get out anything we want to bury, (widely paraphrased or misquoted as "It's a good day to bury bad news"), in an email sent on September 11, 2001. The furor caused when this email was reported in the press eventually caused her to resign. Skilled practitioners of spin are sometimes called "spin doctors", though probably not to their faces unless it is said facetiously. It is the PR equivalent of calling a writer a "hack". Perhaps the most well-known person in the UK often described as a "spin doctor" is Alastair Campbell, who was involved with Tony Blair's public relations between 1994 and 2003, and also played a controversial role as press relations officer to the British and Irish Lions rugby union side during their 2005 tour of New Zealand. State-run media in many countries also engage in spin by selectively allowing news stories that are favorable to the government while censoring anything that could be considered critical. They may also use propaganda to indoctrinate or actively influence citizens' opinions. * The talk show circuit. A PR spokesperson (or his/her client) "does the circuit" by being interviewed on television and radio talk shows with audiences that the client wishes to reach. * After a PR practitioner has been working in the field for a while, he or she accumulates a list of contacts in the media and elsewhere in the public affairs sphere. This "Rolodex" becomes a prized asset, and job announcements sometimes even ask for candidates with an existing Rolodex, especially those in the media relations area of PR. * Direct communication (carrying messages directly to constituents, rather than through the mass media) with, e.g., newsletters – in print and e-letters. * Collateral literature, traditionally in print and now predominantly as web sites. * Speeches to constituent groups and professional organizations; receptions; seminars, and other events; personal appearances. * The slang term for a PR practitioner or publicist is a "flack." A tactic used in political campaigns is known as "defining one's opponent". Opponents can be candidates, organizations and other groups of people. In the 2004 US presidential campaign, George W. Bush defined John Kerry as a "flip-flopper," among other characterizations, which were widely reported and repeated by the media, particularly the conservative media. Similarly, George H.W. Bush characterized Michael Dukakis as weak on crime (the Willie Horton ad) and as hopelessly liberal ("a card-carrying member of the ACLU"). In 1996, President Bill Clinton seized upon opponent Bob Dole's promise to take America back to a simpler time, promising in contrast to "build a bridge to the 21st century." This painted Dole as a person who was somehow opposed to progress. In the debate over abortion, self-titled pro-choice groups, by virtue of their name, defined their opponents as "anti-choice", while self-titled pro-life groups refer to their opponents as "pro-abortion" or "anti-life". 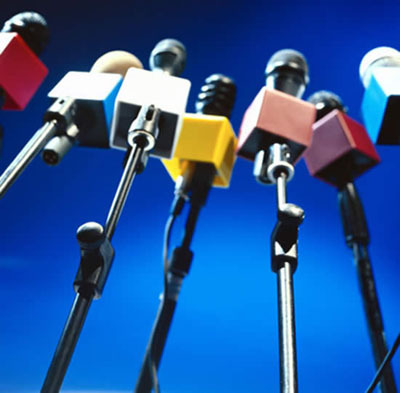 If a politician or organization can use an apt phrase in relation to an issue, such as in interviews or news releases, the news media will often repeat it verbatim, without questioning the aptness of the phrase. This perpetuates both the message and whatever preconceptions might underlie it. Often, something innocuous sounding can stand in for something greater; a "culture of life" sounds like general goodwill to most people, but will evoke opposition to abortion for many pro-life advocates. "States' rights" was used as code words for anti-civil rights legislation in the United States in the 1960s, 70s, and 80s. Many of the techniques used by PR firms are drawn from the institutions and practices of democracy itself. Persuasion, advocacy, and education are instruments through which individuals and organizations are entitled to express themselves in a free society, and many public relations practitioners are engaged in practices that are widely considered as beneficial, such as publicizing scientific research, promoting charities, raising awareness of public health concerns and other issues in civil society. One of the most controversial practices in public relations is the use of front groups—organizations that purport to serve a public cause while actually serving the interests of a client whose sponsorship may be obscured or concealed. The creation of front groups is an example of what PR practitioners sometimes term the third party technique—the art of "putting your words in someone else's mouth." PR Watch, a non-profit organization that monitors PR activities it considers to be deceptive, has published numerous examples of this technique in practice. Critics of the public relations industry, such as PR Watch, have contended that Public Relations involves a "multi-billion dollar propaganda-for-hire industry" that "concoct[s] and spin[s] the news, organize[s] phoney 'grassroots' front groups, sp[ies] on citizens, and conspire[s] with lobbyists and politicians to thwart democracy." . Instances of the use of front groups as a PR technique have been documented in many industries. Coal mining corporations have created environmental groups that contend that increased CO2 emissions and global warming will contribute to plant growth and will be beneficial, trade groups for bars have created and funded citizens' groups to attack anti-alcohol groups, tobacco companies have created and funded citizens' groups to advocate for tort reform and to attack personal injury lawyers, while trial lawyers have created "consumer advocacy" front groups to oppose tort reform. Publicity is the deliberate attempt to manage the public's perception of a subject. The subjects of publicity include people (for example, politicians and performing artists), goods and services, organizations of all kinds, and works of art or entertainment. From a marketing perspective, publicity is one component of promotion. The other elements of the promotional mix are advertising, sales promotion, and personal selling. Promotion is one component of marketing. Publicity draws on several key themes including birth, love, and death. These are of particular interest because they are themes in human lives which feature heavily throughout life. In television serials several couples have emerged during crucial ratings and important publicity times, as a way to make constant headlines. Also known as a publicity stunt, the pairings may or may not be truthful. A publicist is a person whose job is to generate and manage publicity for a product, public figure, especially a celebrity, or for a work such as a book or movie. Publicists usually work at large companies handling multiple clients. The theory any press is good press has been coined to describe situations where bad behaviour by people involved with an organization or brand has actually resulted in positive results, due to the fame and press coverage accrued by such events. One example would be the Australian Tourism Board's "So where the Bloody Hell are you?" Advertising Campaign that was initially banned in the UK, but the amount of publicity this generated resulted in the official website for the campaign being swamped with requests to see the banned ad. The popular sitcom, Married... with Children, achieved skyrocketing ratings after moralist Terry Rakolta attempted to have it removed from the air. 4. Crifasi, Sheila C., "Everything's Coming Up Rosie," from Public Relations Tactics, September, 2000, Vol. 7, Issue 9, Public Relations Society of America, New York, 2000.